New: Get Found & Get Booked Through Google! Learn more. Balance spa bookings for your only treatment room or pedicure station without keeping clients waiting. 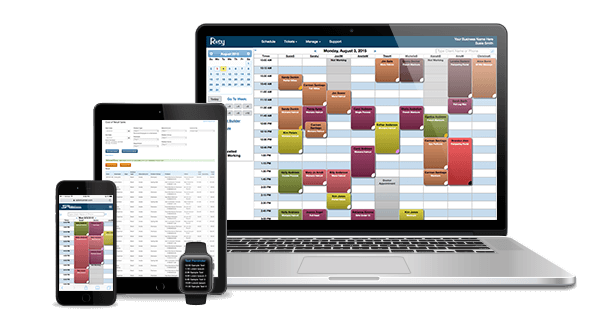 Rosy Spa Software seamlessly manages your resources and fills your spa schedule without overbooking. Keep spa clients coming back for more! Encourage loyalty with customers using customized spa Memberships & Packages. Streamline membership collections with merchant processing and automatic billing. Increase productivity. Easy 24/7 access. Convenient for customers to schedule spa treatments, purchase memberships and gift cards or reserve product from your website, mobile web app or Facebook page. Click, click and done! Book spa treatments, organize multiple appointments, call up client history, and personalize reminders with just a few clicks or taps. 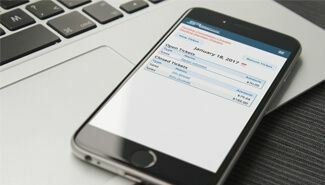 Simplify client checkout with easy POS features. Manage your cash drawer, gift cards, and memberships with hassle-free processing for any transaction type. Go mobile with 100% availability from any device. No app needed. Completely responsive design. Remote access provides the freedom to live your life on-the-go. 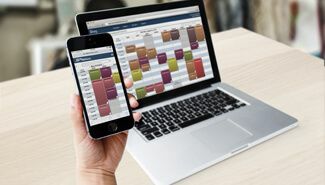 Conquer spa no-shows and late arrivals with Rosy Spa Software. Send automated email and text confirmations days before every spa appointment with text reminders a few hours before the scheduled treatment. With a simple one-time setup, you manage when and how communications are sent. 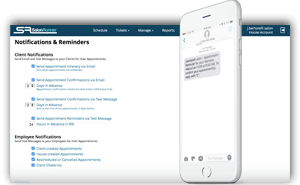 Rosy also automatically alerts staff by text message for new or changed appointments. 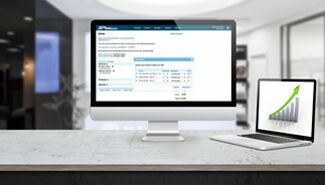 With over 100+ reports, including versions to help streamline your accounting and payroll, Rosy’s scheduling and business management software lets you manage your entire business and financial history in the cloud. Designed to take your marketing to the next level, this premium package offers features to help successfully manage and grow your business. Ideal for spas, increase sales and booking frequency while building loyalty with customers. Put your marketing on autopilot with these effective automated campaigns. Pick from 20 templates each for Happy Birthday, New Client Thank You, Due Back reminders, and Drive Backs. Simple setup in under five minutes. 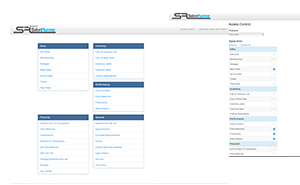 Manage quick and easy loyalty programs for salons and spas. Encourage frequent spa visits and increased spending. Watch your spa business grow by incentivizing and rewarding referrals, online client scheduling, purchases, etc. Stay in touch with clients with attractive marketing emails. Use your own artwork or one of our templates. 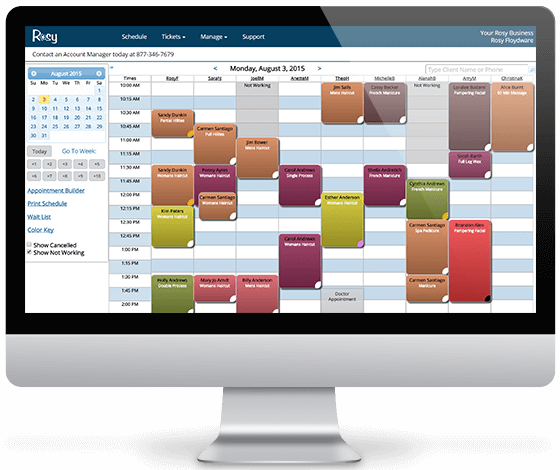 Schedule an automated email for all clients or target specific recipients with Rosy’s comprehensive sorting options. Unlike other software, Rosy doesn’t own your data. You also have the freedom to choose Credit Card processors. We’ll even convert your data from other software. Low monthly fee starting at $29/mo.